Zion Canyon is the namesake of Utah's first park, with the towering Navajo Sandstone cliffs creating geological wonders that harbor mountain streams, hanging gardens, dinosaur tracks and impossibly narrow slot canyons. 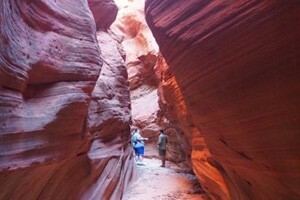 Unlike most canyons, Zion Canyon is setup to be viewed from inside the canyon as well as the rim. The abundance of micro-climates create hidden areas of verdant gems, filled with waterfalls and hanging gardens. 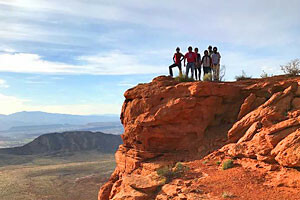 Hiking opportunities, along with rock climbing, canyoneering and backpacking, are extensive. The sandstone cliffs rise over 2,000 feet from the canyon floor. Zion Canyon is the centerpiece of the park bearing its name. Most of the park highlights are located inside or around the towering cliffs that have been eroded over thousands of years to form the intricate and delicate shapes the canyon is known for. Brilliant reds, rusty oranges, and sunset yellows play throughout the overhanging caves and canyon nooks, creating micro-climates that house spectacular hanging gardens and endemic species. With a human history stretching thousands of years in Zion Canyon, Utah's first park is at the convergence of the Mojave Desert and the Great Basin. These forces have literally carved the canyon from the ground. Found in southwest Utah, Zion Canyon National Park is 3 hours northwest of Las Vegas, off of I-15. It can be visited in conjunction with the Grand Canyon, Bryce Canyon, or some of the other incredible parks in the area. The ranger office and visitor center are extremely helpful in steering visitors toward the appropriate sights and activities, so be sure to use this great resource. Even if you only have time to drive through Zion-Mt. Carmel Highway and head straight out, it's worth the effort to do it. The descent is spectacular, heading along the switchbacks, through the tunnel (an engineering masterpiece), and out through the canyon floor. One of the focuses of the park system is to make sure that, regardless of age or ability, all visitors can enjoy and appreciate the park's wonders. There are trails that are as easy as a sidewalk stroll, or as challenging as an endurance race, so get out of the car for an incredible walk. 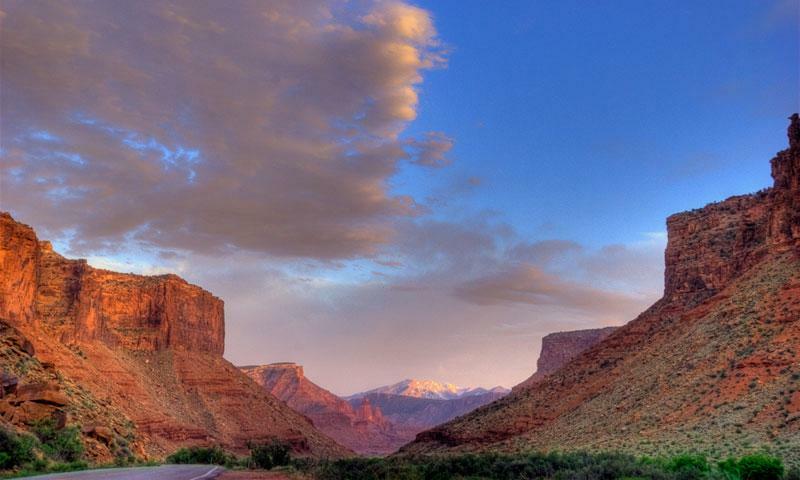 Zion's backcountry is a popular place to find rock climbers, canyoneers, and simple backpackers and campers. There are great opportunities to explore some of the country's most rugged and remote desert, surprising visitors with their hidden gems of vibrant nature. The Civilian Conservation Corps (CCC) played a major role in establishing the tourist services that laid the groundwork for the national park. Three camps were built in the park, lasting from 1933-1942, when the CCC program was stopped. Scenic Canyon area in Northern Arizona.